The best piece of cold gear I’ve used for my winter warmth! The Habanero is not your average onesie. This new one-piece liner is full of technical paddling specific features to match up with all Kokatat dry suits and most other current dry suit designs, including Kokatat’s Switchzip suits. I’ve also found great use of this liner as a mid-layer for alpine skiing. You can use the liner as base-layer or mid-layer thanks to the high quality fabric construction. The main fabric is a 4-way stretch 90% polyester 10% spandex with heavyweight recycled Polartec® PowerDry®. The fabric of the underarms, cuffs, neck and ankles is a 4-way stretch 92% polyester 8% spandex with lighter weight Polartec® grid fleece ensures unrestricted movement at our pivot point while paddling. The Velour back of the liner provides extra warmth and superior moisture transportation compared to other liners I have tried in the past. This combination of fabrics makes for a nice breathable, but seriously warm suit! I’m a warm natured big guy, so I don’t even think about putting on this liner unless it is at least in the 30’s. The jersey face of the fabric enables smooth layering with other garment with its smooth finish. The suit features flat-stitch seams throughout for comfort of wear. The jersey face and flat-stitching make for a durable suit that can withstand the test of time and washing. The entire suit is contoured to fit your body better with the body mapped design. This makes for a warm comfortable trim fit with no extra bulk. The long front entry zipper is easy to get in and out of when dressing. There is no need to ever worry about stretching out the neck with this suit entry system. The second waist zipper acts as a drop seat for rear relief option. There is also a flap fly for front relief option. This relief system is compatible with all Kokatat dry suits (including SwithZip). It also keeps you from having to remove your dry suit most the way off and freezing to death when having to go #2 in the wild. The zippered chest pocket located on the left front of the liner is a handy for carrying small items. You never have to worry about losing items in this pocket, since it has a zipper and typically under another layer. I like to place my skull cap in it when there are days I’m not sure I’m going to have to wear it. At the end of the wrist cuffs you will find a pair of thumb holes. This feature help keep the sleeves in place when layering over the liner with your dry suit. This also make the cuffs act as a toasty half mitt to keep you warm while at camp or loading your boat at the take-out. Laundering the liner is super easy. Wash it when it smells. Throw it in a machine warm water wash all zipped up and hang dry. Make sure not to use any fabric softener or bleach in the wash. Don’t iron it either… Really, who would do that anyway? If you’re looking for the perfect liner suit to compliment you dry suite, look no further! Kokatat has nailed it with this design. It has superior warmth, does not limit any articulation and breaths well if you start to perspire in it. I highly recommend checking it out at your local Kokatat dealer and try on your size. I think you’ll see why it’s my new favorite piece of winter gear! Things are progressing even better than anticipated to launch the #SURFBETSY whitewater project in my hometown of Elizabethton,TN! We need a great show of support from the paddling community at this meeting on February 17, so please make every effort to attend and be a part of it. When: Saturday, February 17 at 2:00 P.M. – 5:00 P.M.
What: this will be a presentation on the benefits of bringing a Whitewater Feature to Elizabethton. Guest speakers will begin the discussion to be followed by a presentation by the consultants from River Restoration from Carbondale, Colorado. 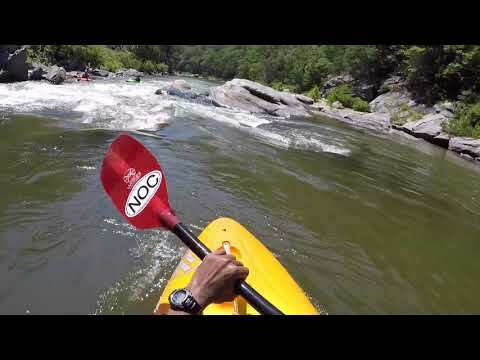 We will also be showing videos of local whitewater kayaking runs. Rahul Subramanian is a local paddler in the Tri-Cities area in Tennessee and a member of the Appalachian Paddling Enthusiasts club. He started kayaking whitewater this past January and has come a long way in eight months. His determination to progress safely while getting out on the river as much as possible is inspiring to many of the local paddlers in our area. He was recently honored with the “APE’s Rookie of the Year” award for his many personal first descents and paddling progression throughout this paddling season.